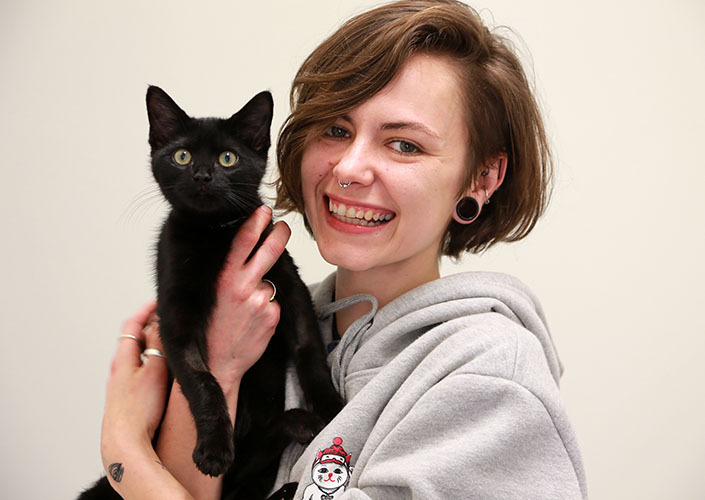 Proud adopter Lydia with her new kitten Obsidian. Animal lovers across Melbourne have helped achieve something incredible. Over the past 30 days, 540 cats and kittens have been adopted into loving homes! 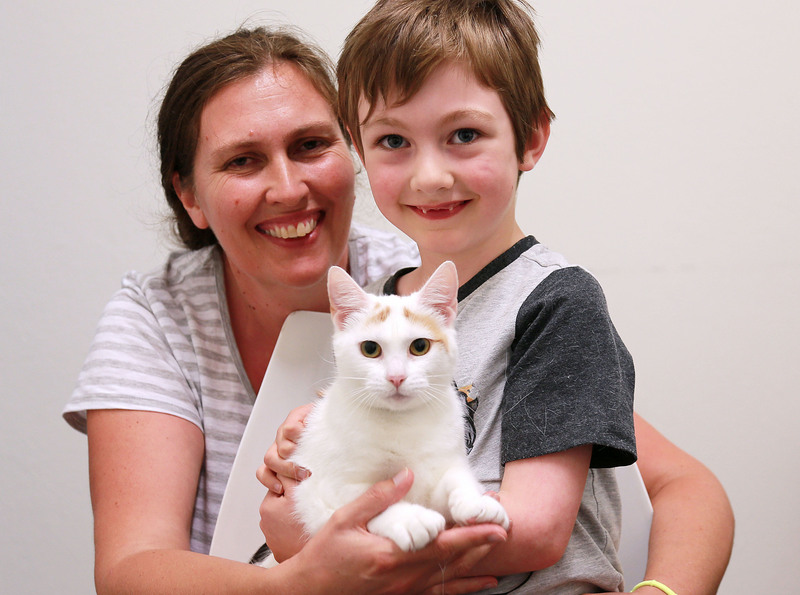 On January 13, we called on Melburnians to open their hearts and homes to a shelter cat or kitten. With hundreds of felines in our care, we waived the fee to adopt an adult cat and halved the fee to adopt a kitten. Every day since, we’ve been greeted by caring people here to offer a forever home to a pet in need. Their kindness has contributed to one of the most successful adoption drives in The Lost Dogs’ Home’s history, with 540 cats and kittens finding their forever homes. A highlight of the adoption drive was The Meownificent Garden Party adoption evening, where 71 cats and kittens were adopted in a single day. If you’re one of our proud adopters, we’d love to hear your story. If you missed the adoption drive, don’t despair. With cats and kittens coming into our care daily, your perfect match won’t be far away. All cats and kittens adopted from our shelter are desexed, microchipped, vaccinated, and up to date with flea and worming treatments, which is all included in the adoption fee. It’s $115 to adopt a cat and $225 to adopt a kitten, with adoption fees helping to cover part of the costs of caring for these pets and getting them ready for adoption. With every cat and kitten adopted, another homeless pet soon takes their place at the shelter. If you can offer a loving forever home to a cat or kitten in need, change a life and adopt your new best friend.